We develop resumes for high school and college students, and recent grads. Candidates receive resumes in Microsoft Word Docx and PDF within 3—14 days. First, we establish a true partnership with clients by helping them clarify their goals, value, and unique story to set them apart from the crowd. Then, we create meticulously crafted, eye-cathcing, custom resumes for interviewing, networking, and online applications that inform, impress, and compel others to want to learn more. Using one of three formats—traditional, transitional, or modern—we write one “core” resume suitable for any opportunity and two “targeted” resumes for specific ones. This includes formatting, unlimited editing, and professional outside proofreading services. Candidates can then move forward with the search process or obtain additional personalized services as needed. We write additional targeted resumes in Microsoft Word Docx and PDF. We reformat the information on your current resume to create a professional presentation. You receive a first draft to edit and a final draft for approval in Microsoft Word Docx and PDF. 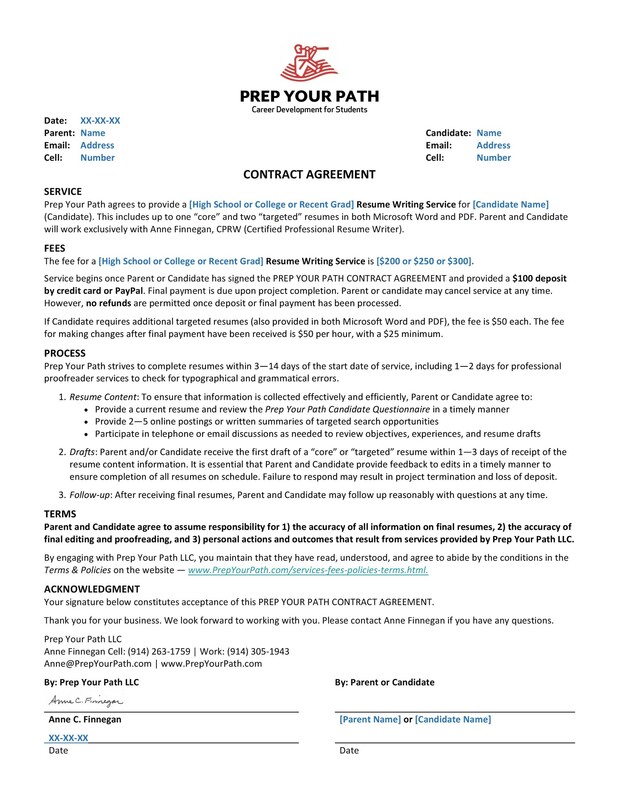 We update a Prep Your Path resume within two years in Microsoft Word Docx and PDF. We provide 25 laser printed resumes on resume paper with envelopes via Fed Ex. We develop three types of letters: 1) interview request/cover letters, 2) thank you letters, and 3) letters of acceptance or decline. You receive letters in Microsoft Word Docx and PDF within 3—14 days. Using one of three formats—traditional, transitional, or modern—we write one “core” letter suitable for any opportunity and two “targeted” letters for specific ones for each type. This includes formatting, unlimited editing, and professional outside proofreading services. We guarantee 100% satisfaction. We write additional targeted letters in Microsoft Word Docx and PDF. We help you develop objectives & strategies to build your brand on the most important professional networking website. You receive your profile within 3 to 14 days. You build focus and confidence to move forward by reviewing sample profiles. We develop your headline, summary, and experience statements. We also review your photo and skills selection—and more. Navigating a career move requires identifying what strategies work best for each particular situation. We help you develop the tools & skills for college admittance and job search success by providing one-on-one, personalized career coaching. You build focus and confidence to move forward by learning professional branding. We help show your value by developing your "Elevator Pitch", resume profile statement, and resume bullet points. We also review resumes, letters, LinkedIn profile, action plans, interviews — and more. We offer 1-hour sessions. We help you develop objectives & strategies and organize your time for college admittance and job search success. You build focus and confidence to move forward by learning how to research, plan, and stay on track. We also review resumes, letters, LinkedIn profile, interviews — and more. We offer two 1½-hour sessions. We help you develop your objectives & strategies and review 25 questions and answers for interviewing success. You build focus and confidence to move forward by identifying your value to others and crafting your "Elevator Pitch". We also review communication skills (verbal, nonverbal, tone of voice) etiquette, attire, researching, planning, budgeting, resumes, letters, LinkedIn profiles — and more. We offer two 1½-hour sessions. "Anne’s resume overhaul really made a difference in turning my college original into a professionally tailored resume that I was proud to present. I had been working as an intern during my junior year of college, when I was presented with the opportunity to apply for a full-time job. My resume was outdated and bland, but I was in a bind to have it ready for my interviews. Anne came to my rescue and worked with me around the clock to produce a new resume. I realized that I had left so much out that was imperative information to convey during an interview. Throughout our discussions, Anne used her expertise to refine my resume in a cohesive and professional manner. I received positive feedback on my resume from the interviewer, and I got the offer!"